Founded in 1983, Purdue Polytechnic Columbus is part of a statewide network that offers the same technology Bachelor programs available at the West Lafayette campus. Its smaller size allows for dedicated, one-on-one attention while you earn your degree from Purdue University. 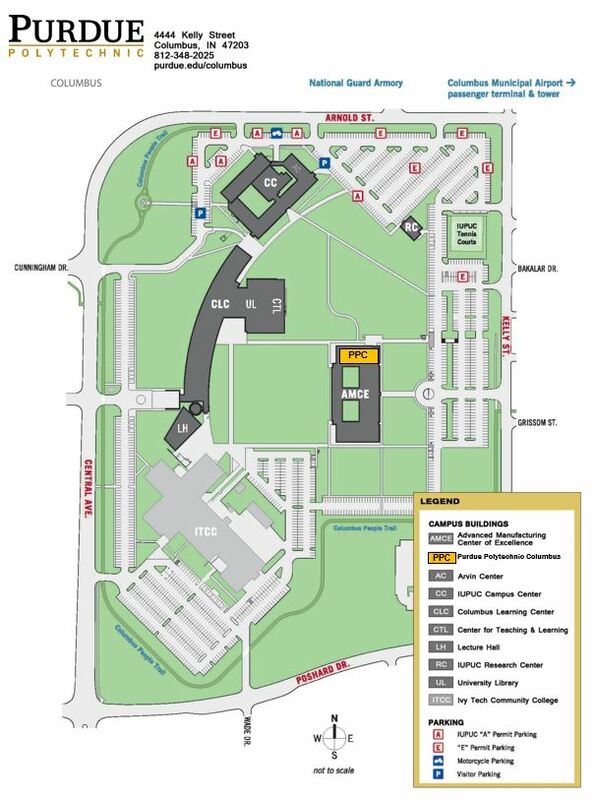 Purdue Polytechnic Columbus is currently headquartered in the Advanced Manufacturing Center of Excellence (AMCE) in Columbus. Graduates of our programs are employed in business and industry in Columbus and the surrounding communities. Additionally, Purdue serves as a resource for local business and industrial personnel who are updating their skills or who need retraining. Purdue Polytechnic Columbus provides an individualized, practical, and real-world approach for the beginning student as well as the experienced student. The student population is a mix of traditional college-aged students who recently have graduated from high school and nontraditional students already in the workplace. This diversity brings a unique blend of education and experience into classroom discussions, benefiting all. Student housing is available to all Purdue Polytechnic Columbus students at the Annex of Columbus. For regular updates and information, please check out Purdue Polytechnic Columbus on Facebook and Twitter by clicking the links below.